LONDON (Tuesday, 12 February 2019): National Geographic Traveller Food has picked out 17 of the world’s greatest culinary hotspots, to help you put food at the heart of your travel plans in 2019. In the latest issue, distributed free with March’s National Geographic Traveller, we celebrate the destinations that feel as though they were created with food lovers in mind, from European heavyweights such as Lyon and Bologna to distant culinary outposts like Cusco and Zanzibar. Also in this issue, we experience an onion festival in Roscoff, Brittany, sample the cuisine of Costa Rica and journey to The Hague for a traditional Dutch family meal. All this, plus guides to the food hotspots of Rio de Janeiro, New Brunswick and Washington, DC. In addition, expect the usual mix of thought-provoking features and easy-to-follow recipes from world-renowned contributors. On sale date: 7 February 2019. Price: Free with the December edition of National Geographic Traveller (UK), which costs £4.60. 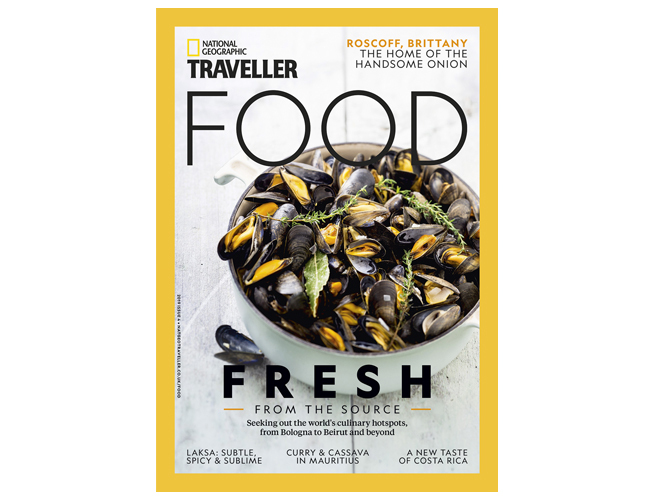 The quarterly, 132-page magazine is available free of charge with the December, March, June and September issues of National Geographic Traveller (UK). It's brought to you by APL Media Limited, publisher of the award-winning National Geographic Traveller. This press release was distributed by ResponseSource Press Release Wire on behalf of APL Media (Absolute Publishing) in the following categories: Food & Drink, for more information visit https://pressreleasewire.responsesource.com/about.